TARGET #50BY30 ON THE ROAD TO ZERO Road casualty reduction targets are a proven means to improve road safety. Evidence shows that they are an effective way to: -	Improve road safety performance in participating countries; -	Increase political will, accountability and stakeholder engagement in road safety; -	Provide better management and efficiency of national road safety policies and plans. For these reasons both the International Transport Forum and the United Nations have encouraged countries and regions to set ambitious but achievable casualty reduction targets.1 The European Union (EU), for example, first adopted a road safety target in 2000 and has recommitted to successive ten-year action plans aiming to halve road deaths in each decade. These efforts have reduced road fatalities across the Member States of the EU from 54,900 in 2000 to 25,300 in 2017. For 2030 the EU has again set a target to halve deaths and, for the first time, also included serious injuries. Other regions are making similar commitments, such as the countries participating in Central Asia Regional Cooperation Program who also aim to halve their fatalities by 2030.2 At a global level a target to halve road deaths and injuries by 2020 was included in the framework of SDGs adopted by the UN Summit on Sustainable Development in 2015.3 This target was included in SDG ‘Good Health & Well Being’ 3.6 to be implemented from 2016 to 2020. This was ambitious but unfortunately not realistically achievable in five years which experience shows is too short a period to mobilise effective policy action. It is not surprising, therefore, that the World Health Organization now forecasts that the original 3.6 target date of 2020 will not be reached.4 A further ten-year period is needed to fully implement the package of road safety policies and legislation (including road infrastructure, vehicle safety and road user enforcement) that have been recommended by the WHO to achieve SDG 3.6.5 That is why the Towards Zero Foundation supports extending SDG 3.6 to 2030. Adopting #50by30 would still be ambitious but more realistic and set a clear objective for a new decade of SDG action for road safety. 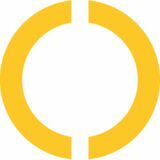 The Towards Zero Foundation recognizes that setting a target is not enough. It simply establishes a framework for accountability and implementation of effective road safety policies. We recognize also that road deaths and serious injuries are avoidable and unacceptable. Setting a global target #50by30 is just a practical way to mobilise action and measure progress towards a world eventually free from road traffic deaths and serious injuries. Without a new target #50by30 there is a significant risk that progress in improving road safety will stagnate & reverse. If the current SDG 3.6 target is not extended to 2030 road safety will become a less important priority in sustainable development. This will undermine political commitment to road injury prevention which in turn will make it harder to mobilise new resources and action to save lives. That is why it is vital that #50by30 should become the benchmark of a new decade of SDG action for road safety to 2030. HRH PRINCE MICHAEL OF KENT’S THREE POINT PLAN FOR GLOBAL ROAD SAFETY Speaking to the UN General Assembly in April 2018, HRH Prince Michael of Kent, patron of the Towards Zero Foundation, warned that it was not enough to “just stabilise the level of road fatalities”. The Prince called for a three-point plan for global road safety including a new UN road safety target, more resources to finance road injury prevention programmes, and much stronger political commitment to road safety. Advocating for #50by30, the Prince told the General Assembly: “To establish a new UN road safety target for 2030 to halve road deaths and serious injuries. This will reinvigorate the road safety ambition of the SDGs and provide a framework for accountability and action. Of course, our vision is for a world free from road traffic fatalities, but a target is intended as a benchmark for progress rather than the final destination. The serious risk is that, without a new casualty reduction target, the road safety performance of UN Member States will be weakly measured and consequently poorly managed”. “This would carry forward the impetus of the UN Decade of Action and encourage more countries to apply safe system policies inspired the vision of a world ultimately free from road trauma. The manifesto, therefore recommended: “That Parliamentarians worldwide support at the end of the current UN decade of Action the adoption of a new SDG 3 target to halve road deaths and serious injuries by 2030 using 2020 as a baseline”. based on a common definition agreed by Member States. Commenting on the new commitment, Violeta Bulc, the Vice President of the European Commission for Transport said: “Targets are a vital tool to help us keep focused. The figures are still striking. In the EU alone, every single day, 370 people sustain serious injuries with life-changing consequences, and the ensuing individual suffering and societal costs are very substantial”. on ‘Improving Global Road Safety’. The ‘Stockholm Declaration on Road Safety’ and the UN General Assembly resolution will establish a new framework for road injury prevention will be decided for 2030 and beyond. That is why the #50by30 campaign is calling for: -	Ministers attending the 3rd Global Ministerial Conference in Sweden to support a target #50by30 to halve road deaths and serious injuries by 2030 in a second decade of SDG action for road safety 2020-2030. -	UN Member States to adopt a resolution during the 74th UN General Assembly debate on road safety that should endorse the #50by30 target and an extension of the current SDG 3.6 target to 2030. -	Regional intergovernmental organisations, such as the African Union, the Association of South East Asian Nations, the Commonwealth, the Group of Twenty, the Organization of American States and the UN Regional Commissions to follow the example of the EU & CAREC to endorse #50by30 and develop SDG related regional road safety action plans. 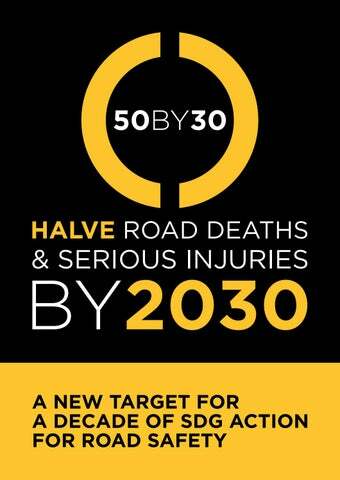 WHAT YOU OR YOUR ORGANIZATION CAN DO FOR THE #50BY30 CAMPAIGN: -	SUPPORT THE #50BY30 CAMPAIGN BY ENDORSING THE TARGET TO HALVE ROAD DEATHS AND SERIOUS INJURIES BY 2030. -	JOIN THE ADVOCACY EFFORT TOO BY ASKING YOUR GOVERNMENT, YOUR MINISTERS OF TRANSPORT AND HEALTH, YOUR MEMBERS OF PARLIAMENT, AND YOUR MAYORS TO COMMIT TO #50BY30. -	ENCOURAGE ACTIVE ENGAGEMENT BY ALL UN MEMBER STATES IN THE 3RD GLOBAL MINISTERIAL MEETING ON ROAD SAFETY IN SWEDEN AND THE SUBSEQUENT 74TH GENERAL ASSEMBLY DEBATE. -	ENCOURAGE SUPPORT FOR THE #50BY30 CAMPAIGN IN REGIONAL INTERGOVERNMENTAL ORGANISATIONS AND THEIR MEMBER STATES.